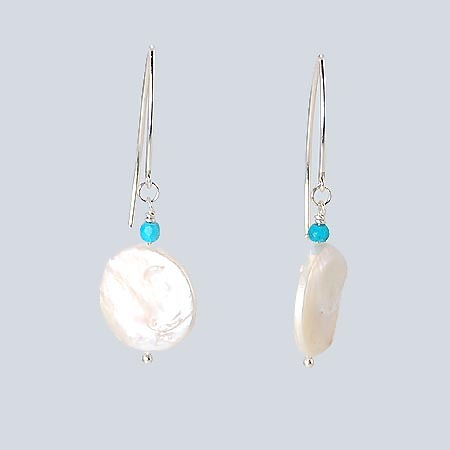 Positively stunning, the freshwater pearls in these dangle earrings have a nice coin shape, with a slight irregularity that adds character and looks almost baroque. Their luster is phenomenal, reflecting rainbow colors in addition to their creamy white shine. 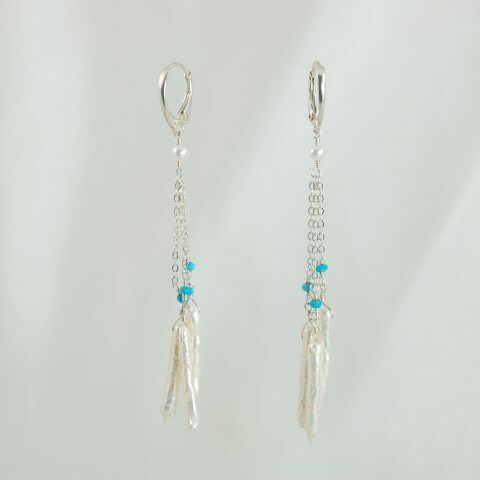 A turquoise rondelle is used as an accent and sterling silver wire compliment the design. 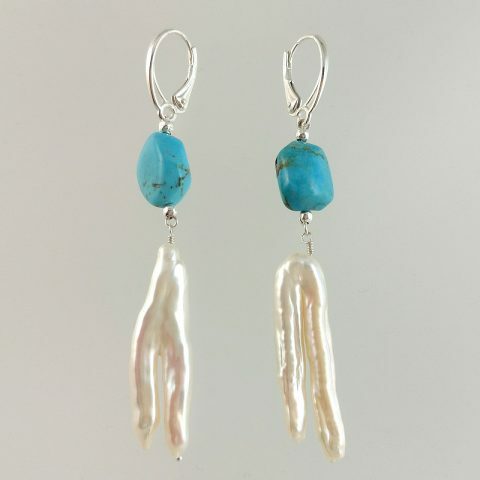 Coin pearls are pretty pearls that can be worn casually during the day, but also add a touch of individual glamour to an evening.